Two days ago I stopped all my revision plans to go and watch the Portugal-Denmark game. As a good expat (I have lived most of my life outside Portugal) I had to go watch the game in a proper Portuguese café in the local Portuguese neighbourhood. Here in London that’s Stockwell. I watched Portugal win (despite some very dubious moments courtesy of our dear Cristiano Ronaldo) drinking Sagres, eating tremoços and swearing in my mother tongue in the very friendly Bar Estrela. The well-deserved win after a very stressful game definitely called for celebration and in my book that means food! On the way home I decided to buy some Portuguese ingredients in order to finally present you with a Portuguese dish and recipe, of salted cod no less. So get yourself to Stockwell, stock on some salted cod and enjoy this beauty. 2 medium onions, sliced finely. 1. 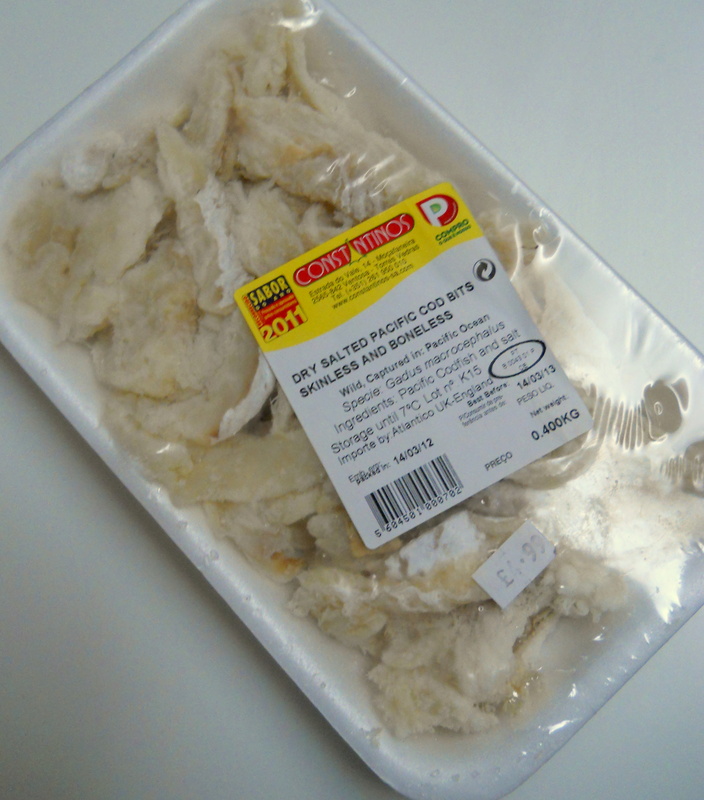 Start by de-salting the salted cod by putting it in a bowl and covering it with water for a few hours. You should change the water every two hours, or just leave it to de-salt for a whole day. Reserve some of the water for later, if needed for the sauce. 2. Now you need to cook the potatoes. Typically this would involve some deep-frying but my student house is not equipped with a deep fat fryer (YET….) 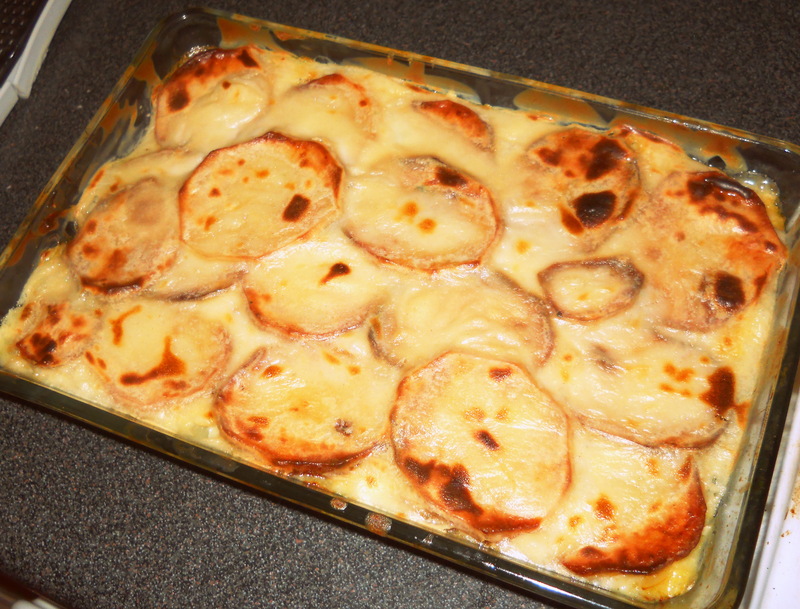 so I simply coated the sliced potatoes in olive oil and baked them in the oven on a single layer – it worked out fine. 3. Now heat up a big pan with a generous glug of olive oil and throw in the onions and the garlic. Fry for a little bit on medium heat and then add the salted cod, completely drained. Leave to cook for a bit on low heat. 4. While this is cooking prepare the bechamel. Very simple: all you have to do is make a roux (butter and flour) and then slowly add the milk on a very low heat. Make sure there is enough bechamel for the spinach, salted cod mixture, and the top. I usually use half a pint of milk, but you can make the sauce as you go. 5. In a pan combine 1/4 of the bechamel with the spinach, just enough to coat it well. Add another 2/4 of the sauce to the pan with the salted cod, adding a bit of salted water if the mixture is too thick. 6. 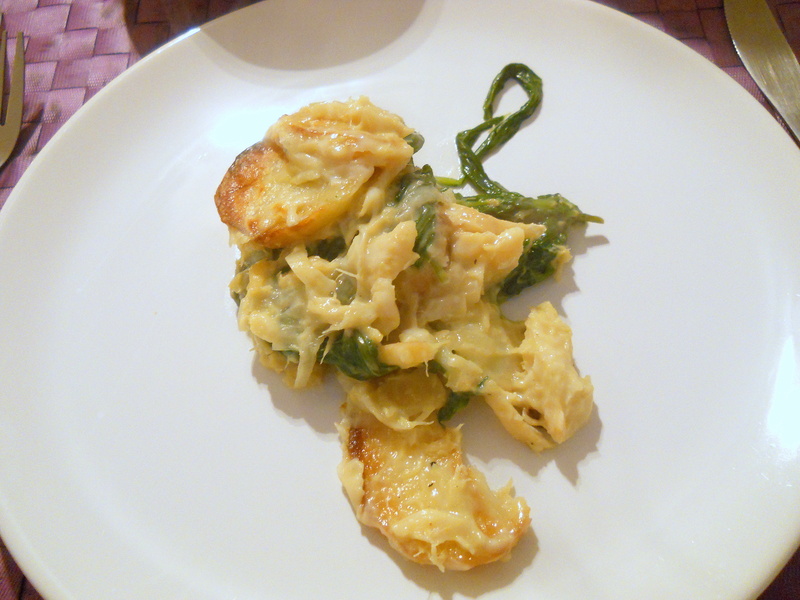 Now start layering an oven-proof dish: first a layer of spinach, then a layer of salted cod, then a layer of potatoes. Repeat until the mixture is finished and top with the remaining bechamel sauce, breadcrumbs and cheese (if using). You can also skip the breadcrumbs and cheese if you prefer. 7. Now put it in the oven under the grill for a few minutes until it is bubbling and becomes golden at the top. 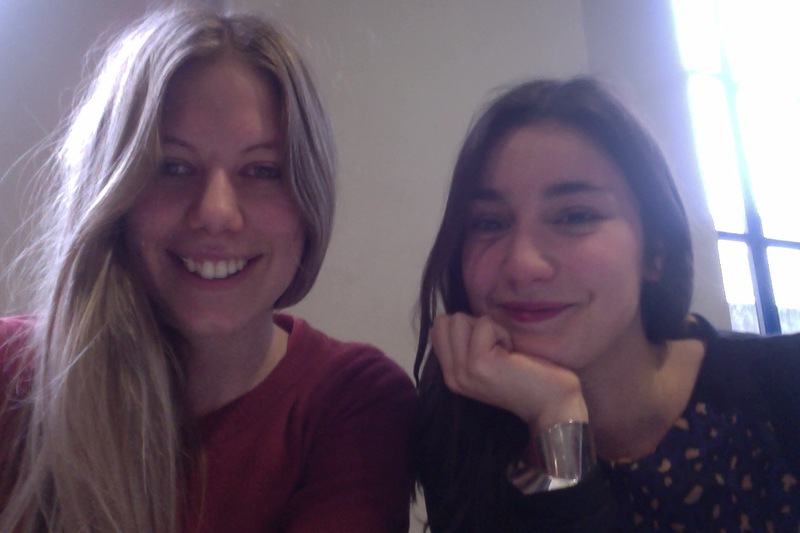 We are two students in London, confessed food snobs with no money. We eat loads of food, we are always thinking about food, and we are always talking about food. So now we decided we had to write about food: eating out, eating in, making food boxes, going to restaurants we cannot afford, and eating loads of cheese. And maybe some Belgian beer.